There are various dates available for Eurostar trains from 25th Feb to 28th March for £25 each way from London to Paris / Brussels or Lille. There are also a number of one way tickets from London to Amsterdam for £30. This is via the Eurostar Snap site (managed by Eurostar), the only main difference is that when you book you are confirming travel dates am/pm and they will confirm the specific travel time 48 hours before the booking. Also offering £30 one way from London to Amsterdam (direct) for £30. Note, they are not offering returns so would need to arrange return journey e.g. Easyjet (maybe because Amsterdam to London Eurostar is not direct). Eurostar Snap - how does it work? Eurostar Snap deals are open to travellers aged 16 and over. That's because while we try our best to seat people together, there's always a chance that seats might be further apart, which wouldn't be ideal for younger travellers. Take the opportunity to go now, before they introduce mandatory full body cavity searches at the border. Take the opportunity to go now, before they introduce mandatory full body …Take the opportunity to go now, before they introduce mandatory full body cavity searches at the border. Everyone travelling must aged 16 or above??? Yes like in the airports,your travelling to other countries so cant be a minor. So to get £29 rates on the main Eurostar site you typically need to book 3 months in advance. However if you wanted to book nearer the time the prices are higher e.g. 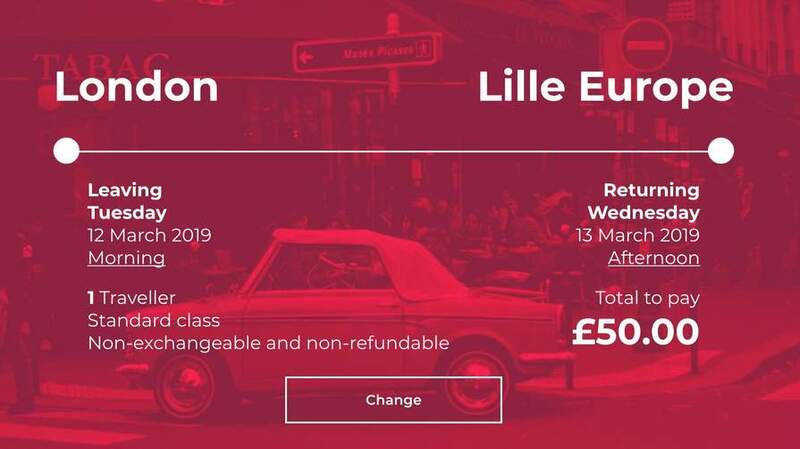 London to Paris on the 5th March the rate on the main Eurostar site is currently £45 each way, so booking via the Snap travel site would give savings of £40 return per person, not insiginicant. 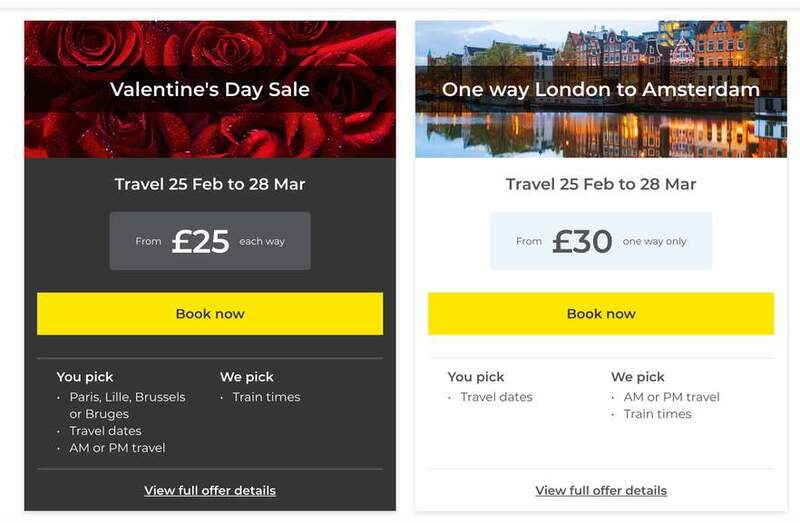 I don't agree.So to get £29 rates on the main Eurostar site you typically …I don't agree.So to get £29 rates on the main Eurostar site you typically need to book 3 months in advance. However if you wanted to book nearer the time the prices are higher e.g. 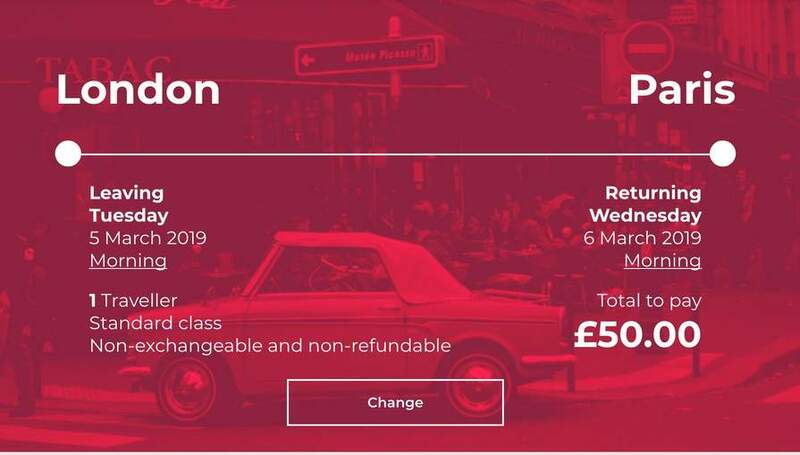 London to Paris on the 5th March the rate on the main Eurostar site is currently £45 each way, so booking via the Snap travel site would give savings of £40 return per person, not insiginicant. Not if you suddenly need to book a night in London as the AM train leaves too early to get into London for. Not if you suddenly need to book a night in London as the AM train leaves …Not if you suddenly need to book a night in London as the AM train leaves too early to get into London for. I'm comparing like for like though, so taking the example of the 5th March the £45 fare is at 5.40 am in the morning on the main Eurostar site. 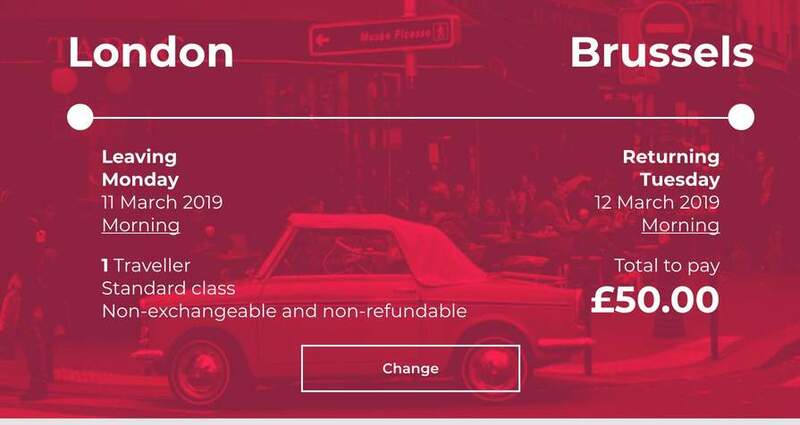 The Snap travel site is still £40 per person return cheaper for am travel. Not for everyone but is a saving and there is afternoon PM availability on the outward journey for some of the March dates. 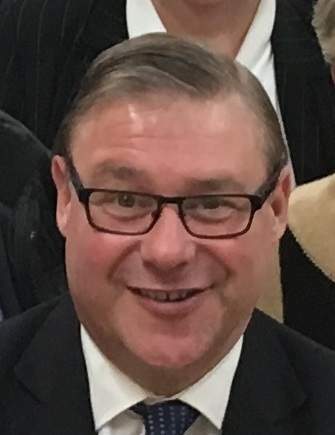 Manchester to London train first? Used to be from several towns and cities in UK. 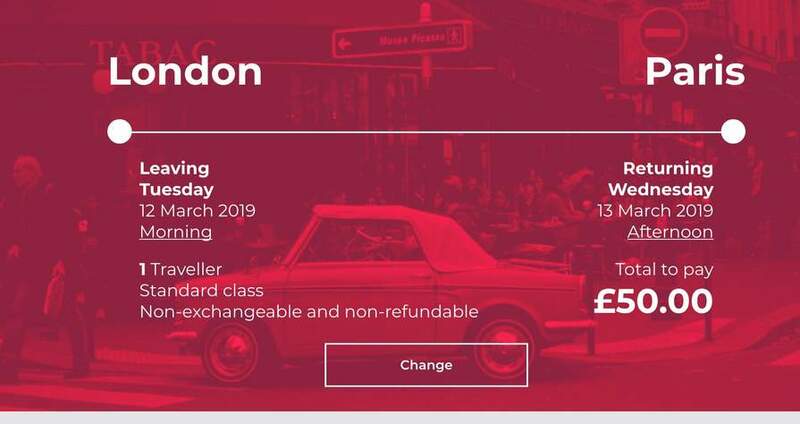 Was excellent as you could book through trains to Kings Cross and saunter into St Pancras but they appear to have cut all or most the UK connections. No Leeds, for example. Yeh doesn't make sense. So if we have a child we can't go ? I think that’s still how it works? You must tick a box that says 'everyone is over 16'. It's not about minors travelling on their own. You must tick a box that says 'everyone is over 16'. It's not about minors …You must tick a box that says 'everyone is over 16'. It's not about minors travelling on their own. 16+ only because they won't guarantee you'll be seated together. How can I choose ebbsfleet Station also if I choose London to Paris can I board the train at ebbsfleet? Thank you. Excellent, I shall pack the yellow vest. I’ve added the over 16s bit to the opening post, by clicking the add info option. If you think anything else should be added, just click the link. 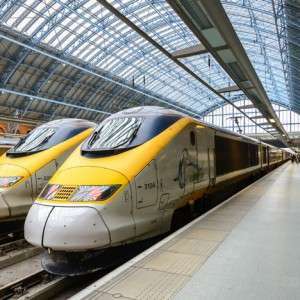 How can I choose ebbsfleet Station also if I choose London to Paris can I …How can I choose ebbsfleet Station also if I choose London to Paris can I board the train at ebbsfleet? Thank you. You can’t board the train at Ebbsfleet, the offer states Eurostar Snap is just for journeys between London, Paris, Lille and Brussels. Unless Eurostar is copying Ryanair, Ebbsfleet is not considered as London. Does anyone know that can we (me and my wife) take our two babies with us? It says in faq 'children under 4 no need tickets'. It is very cheap, but if something goes wrong you will be out of the pocket. Customer service horrendous. Does anyone know that can we (me and my wife) take our two babies with us? …Does anyone know that can we (me and my wife) take our two babies with us? It says in faq 'children under 4 no need tickets'. Yes, I could imagine some of the more rabid members of the ERG thinking this was a brexit bonus.